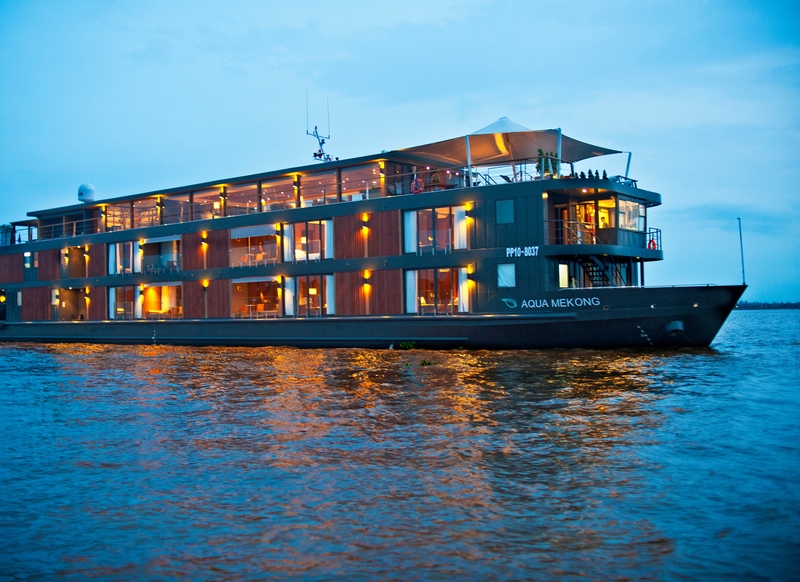 The flagships of Aqua Expeditions are the Peruvian-built M/V Aria, and the Saigon-built M/V Aqua Mekong. Based in Iquitos, Peru, Amazon cruises take travelers in great luxury into the heart of the Peruvian rain forest, the pristine Pacaya Samiria National Reserve and to Nauta, the source of the River Amazon. The Aqua Mekong sails the fabled Mekong between Saigon (Ho Chi Minh City), Phnom Penh and Siem Reap, location of the wondrous Angkor Wat Temple complex. Each ship is intimate, ultra-luxurious, contemporary in design and features cuisine orchestrated by master-chefs David Thompson and Pedro Schiaffino as well as a program of lectures and guiding by on-board naturalists and historians.